Rihanna was reportedly asked to perform at the next Super Bowl and she declined, citing her support for Colin Kaepernick's protest against police brutality and social injustice as her reason. Instead, Maroon 5 will be performing with Adam Levine at the front. Sign my petition to ask Adam Levine and Maroon 5 to step down for the same reason. It's time white men do their part in protesting injustices and not leave all the work to people of color. I got this idea from Amy Schumer, who is calling for the same. 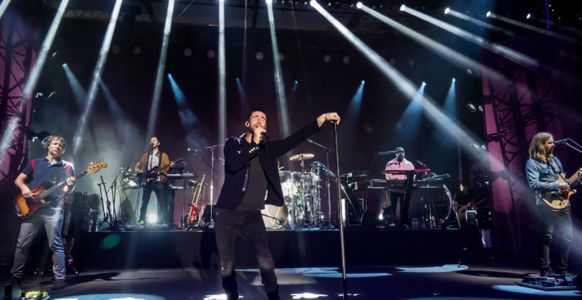 Maroon 5 has a real chance to make a big statement. Yes, they'd lose some money, but it's the least a bunch of wealthy white male artists can do, in my opinion. Please sign on to ask Maroon 5 to use their position of great privilege and power to speak out against police brutality and social injustice, the way that Colin Kaepernick and Rihanna and countless others have done.